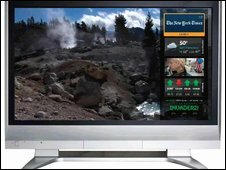 One of the most common technologies for watching video on a computer will soon be available for most smartphones. Flash software is used to deliver around 75% of online video and is the key technology that underpins websites such as YouTube and Google Video. Until now, many smartphones and netbooks have used a "light" version of the program, because of the limited processing power of the devices. The new software is intended to work as well on a smartphone as a desktop PC. Adobe, the maker of Flash, said it should be available on most higher-end handsets by 2010, although Apple's iPhone would continue not to use the software. "The sort of rich apps we now see being delivered on PCs will now be coming to the phone," Ben Wood, director of mobile research at analyst firm CCS Insight, told BBC News. "You'll be able to access a lot of the cool stuff that web designers are coming up with." Flash is one of the most common pieces of software installed on computers. It is found on about 98% of PCs and almost 75% of all online video is delivered using the software, according to Adobe. It powers services such as the BBC iPlayer and around 70% of web-based video games. However, until now, the full version of the software has not been available on smartphones. Instead, users have had to use Flash Lite, a stripped down version of the media software that does not make the same demands of the device's memory or processor. Flash Lite is currently installed in around 40% of all new mobile phones and will continue to be offered on lower-end handsets, Adobe said. Flash 10.1, as the new software is known, had been developed because the mobile web was "booming", said Mr Wood. In addition, he said, developers and users demanded a consistent web experience from desktop PC to smartphone. "We're addressing that need," Anup Muraka of Adobe told BBC News. "Years ago, browsing on smart phones was almost non-existent - nobody was worried about desktop experiences on phones," he added. "But a tremendous level of capability has been added to these devices in recent years and as a result that has changed." A recent report by CCS Insight predicted that by the end of 2009 44% of mobile users will access data via their handsets, whilst smart phones are expected to account for around 17% of the more than one billion handsets shipped during 2009, according to forecasts. "[Mobile phones] have gone from being a voice device to a very visual device that you hold in front of you," said Mr Wood. The new software supports high-definition video and can also be used with touchscreen devices. It is the first major product of an initiative known as the Open Screen Project, which aims to create a flexible media platform for films and games that can run on any device - from set top boxes to mobile phones. The intention of the project is to develop flexible software that will mean developers will only have to write code once, rather than tweaking it for different platforms. 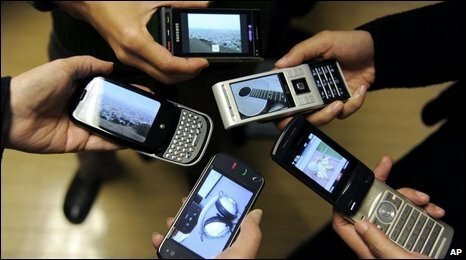 The Open Screen Project is backed by nearly 50 companies including Google and Nokia. The new software will be available for Windows Mobile, Palm webOS and desktop operating systems including Windows, Macintosh and Linux later this year. 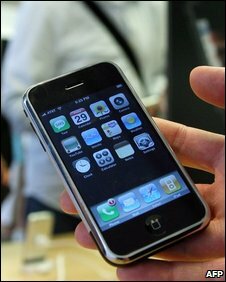 Trial software for Google Android and the popular Symbian operating systems are expected to be available in early 2010. However, it will not be available for the Apple iPhone, according to Mr Muraka. "We're going to need Apple's cooperation," he told BBC News. "At the moment Safari (Apple's web browser) doesn't support any kind of plug-in [on the iPhone]." "But we'd love to see it on there." Mr Wood said he thought that time would come soon. "As momentum builds, I think Apple will have little choice but to embrace it [Flash]," he said. "Watch this space."